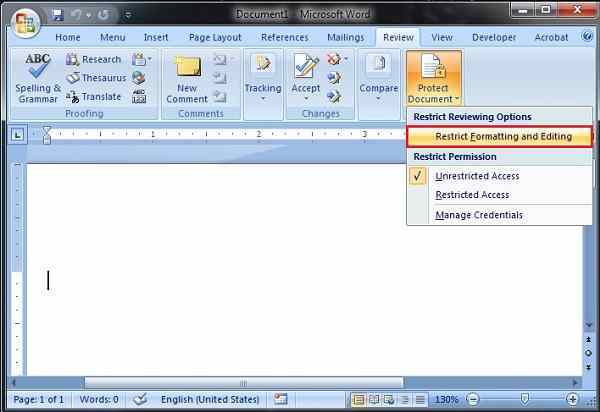 Do you want to restrict editing in Microsoft Word document?. 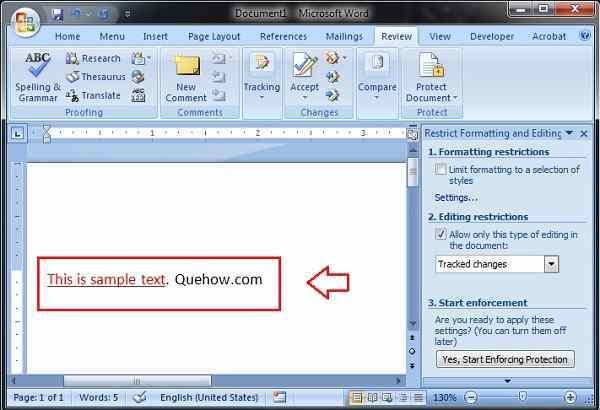 Yes, MS Word allows its user to monitor or control the editing of a document, which you share with your friends or colleagues. If other people would change anything within your document, then automatically the text changes its color from black to red which helps you to track the edited sentence easily. In this article, we will discuss the simple and easy method to limit someone from editing. 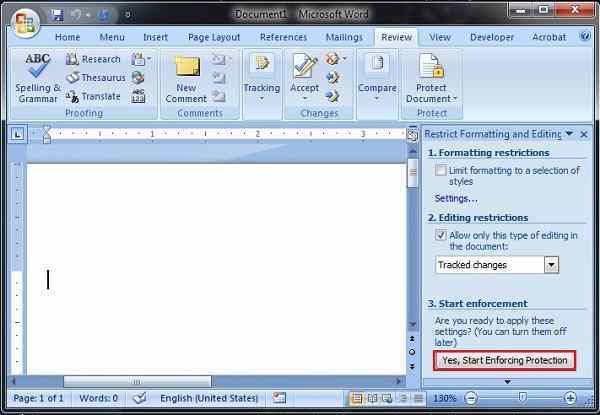 Just have a glance at this article to know how to restrict editing in Microsoft Word Document. 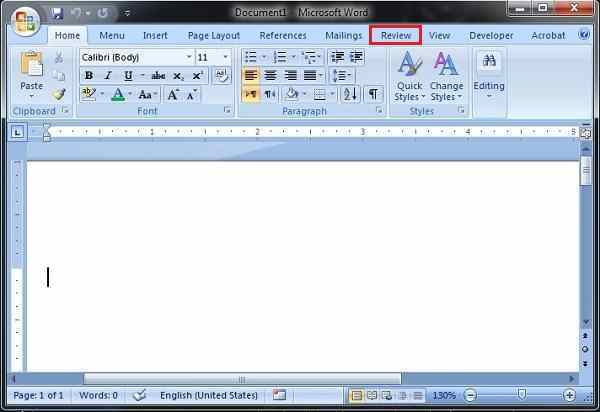 Step 1: First you need to open your Microsoft Word document and then traverse to the “Review” tab. 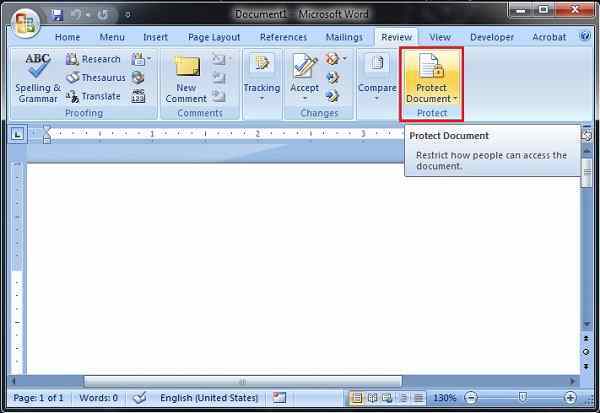 Step 2: Under ‘review‘ tab, you may see the “Protect Document” button. Just click on the ‘protect document’ button to open drop down options. Step 3: In the next step, you need to click on the “Restrict Formatting and Editing” option. Tracked changes– This option helps you to track the changes performed by an unauthorized user. 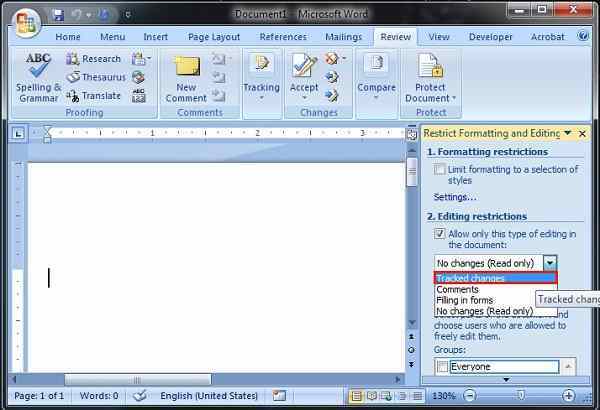 Comments– This option helps to insert the comment in the current document. Filling in forms– This option helps you edit the forms. No changes (Read Only) – This option restricts the user from making any changes to the document. Step 5: Now, select the option according to your need and then click on the “Yes, Start Enforcing Protection” button. 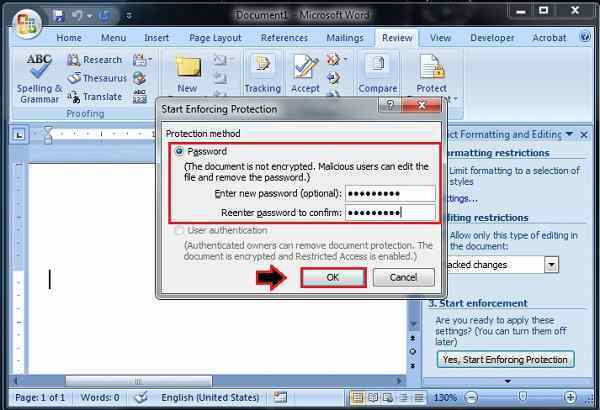 Step 6: You’ll be prompted to provide a password to encrypt the particular document. Just enter your password and click on the “OK” button. 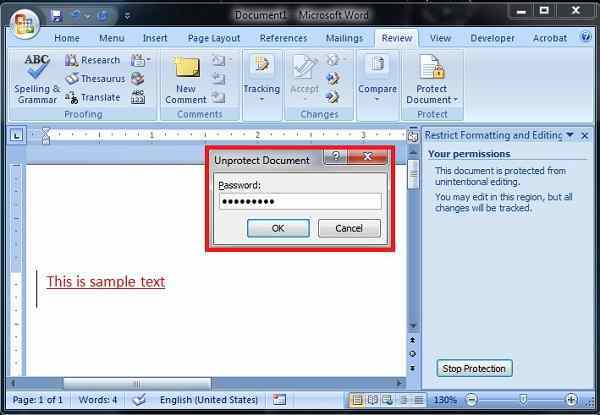 Step 7: Now, you may see the text we just wrote, turned into a red color which means our document is protected. 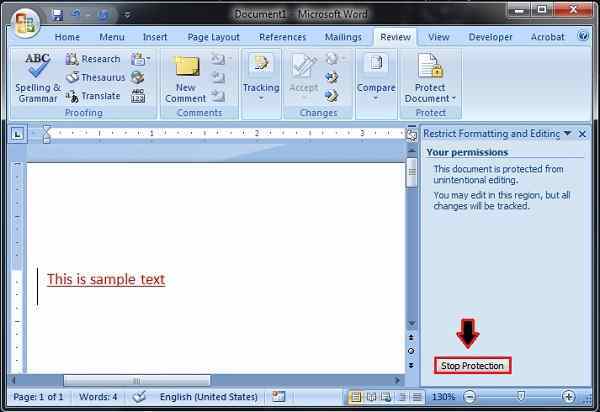 However, if you want to stop the protection, then click on the “Stop Protection” button, as marked in the image below. Step 8: You’ll again be prompted to provide your password, to decrypt the document. Just enter your password and click on the “OK” button. Step 9: Finally, you may see the text we are adding now is displayed in a black color which means our document is not protected.